A warm welcome to the website for the National Science Challenge for Ageing Well – Kia eke kairangi ki te taikaumātuatanga. 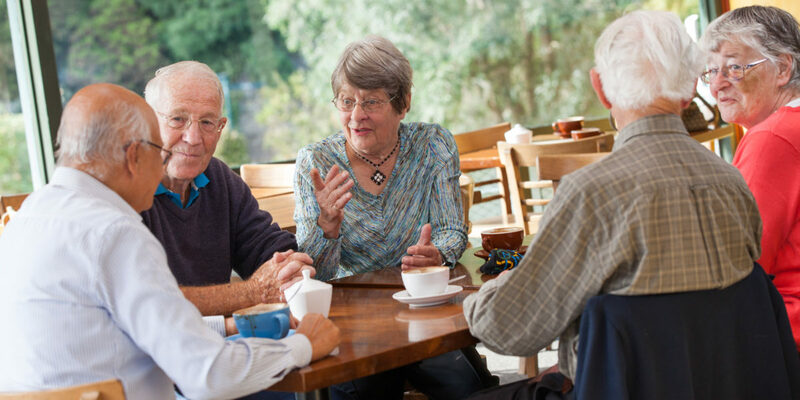 Kia eke kairangi ki te taikaumātuatanga, the Ageing Well National Science Challenge, is a national research collaboration involving the major New Zealand research groups in ageing research. Across the Challenge, we have expertise in public health, Māori health, social science, biomedical science, clinical practice, population and community health, and health service provision. Through our national programme of funded research, the Challenge links with international networks, with the other health and wellbeing Science Challenges, Centres of Research Excellence such as Brain Research New Zealand, and key funders such as Health Research Council, to encourage collaboration, and to build and leverage capability and resources. The Challenge supports research under five interlinking strands to address our mission: push back disability thresholds to enable all New Zealanders to reach their full potential through the life course with particular reference to the latter years of life. These strands are focussed on: enabling independence and autonomy / tino rangatiratanga of older individuals and their whānau and families; ensuring a meaningful life through social integration and engagement; recognising at a societal level the value of ongoing contributions of knowledge and experience of older people; reducing disability; and, developing age-friendly environments. These strands incorporate work to push back the disability threshold by optimizing brain and body health, and social and physical environments for older people. Our website has been designed to provide visitors with information on our work within the Challenge: principally including our researchers, our programmes and research activities, and our stakeholders and knowledge exchange partners. Please take the time to learn more about our Ageing Well Challenge and our research activities: we hope you will find the website useful and informative.